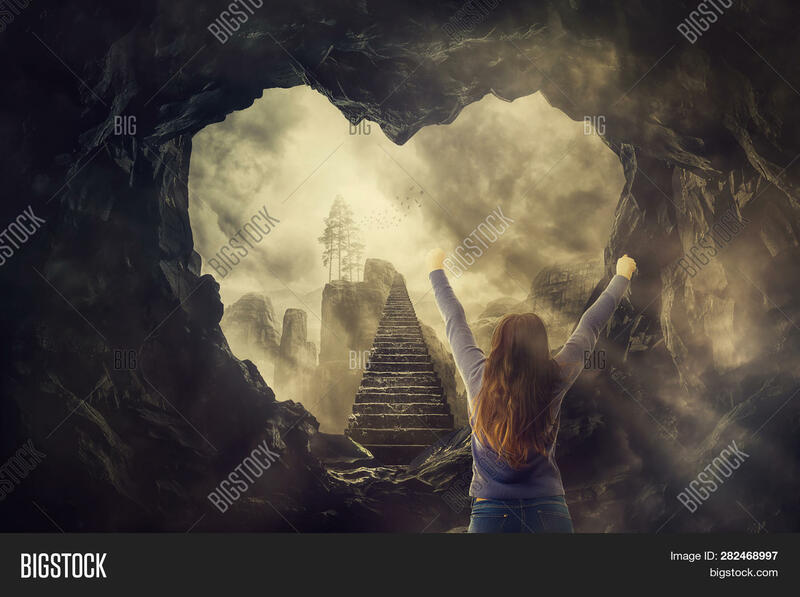 Surreal freedom concept, woman rear view raising hands up in front of a mystic stairway going up to the sky. Mystery escape from a heart shaped dark cave. 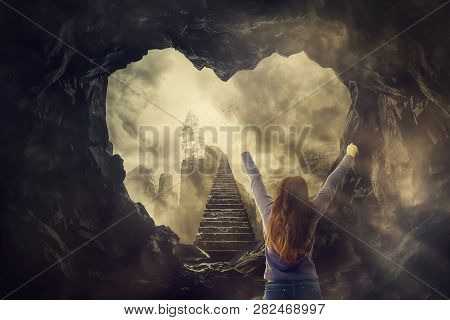 Opportunity staircase way to unknown success.